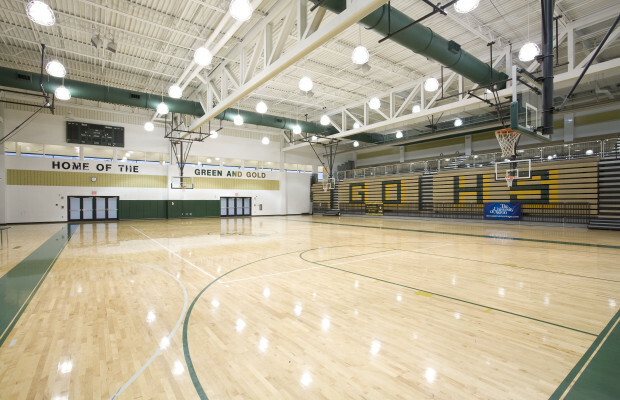 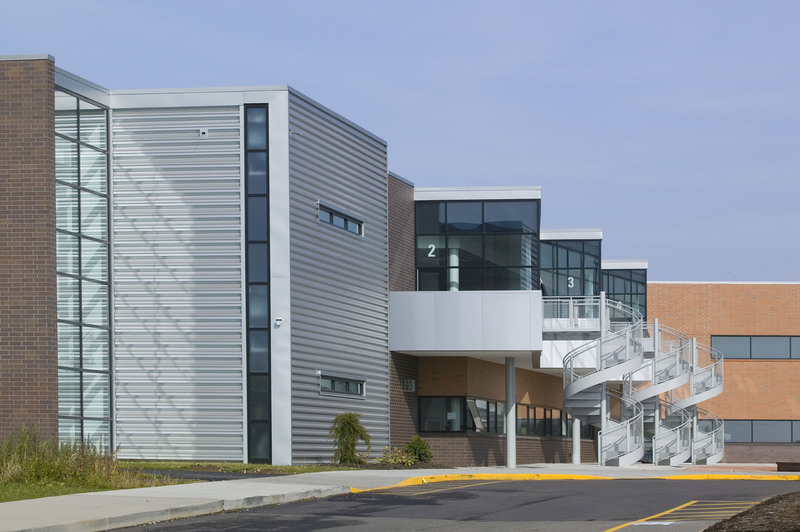 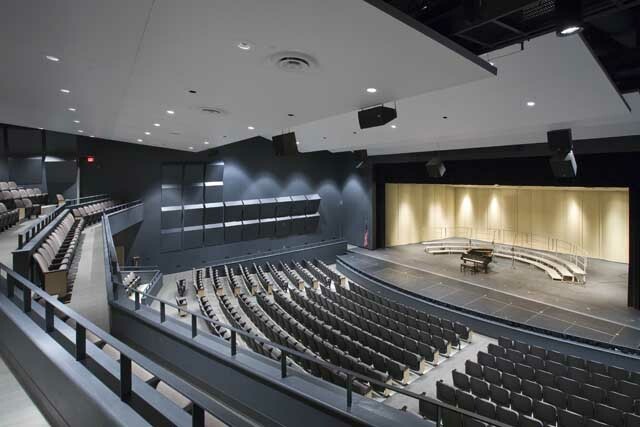 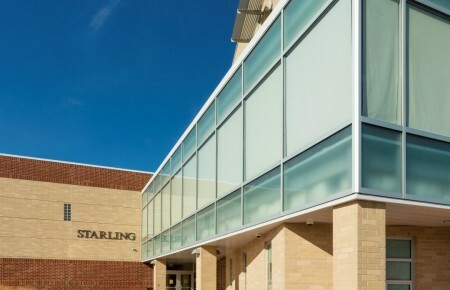 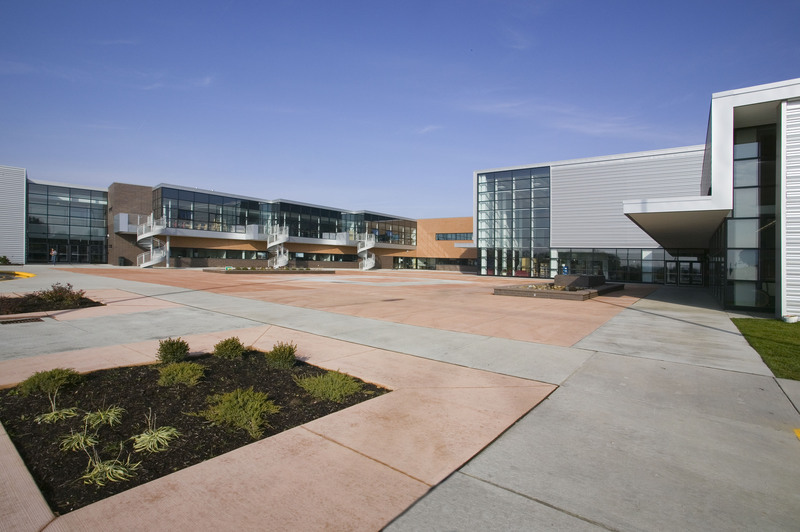 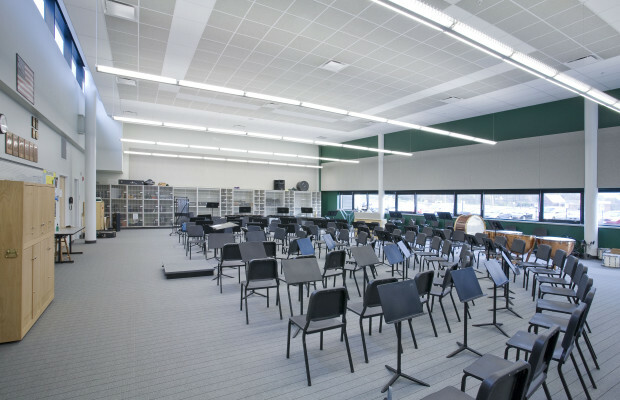 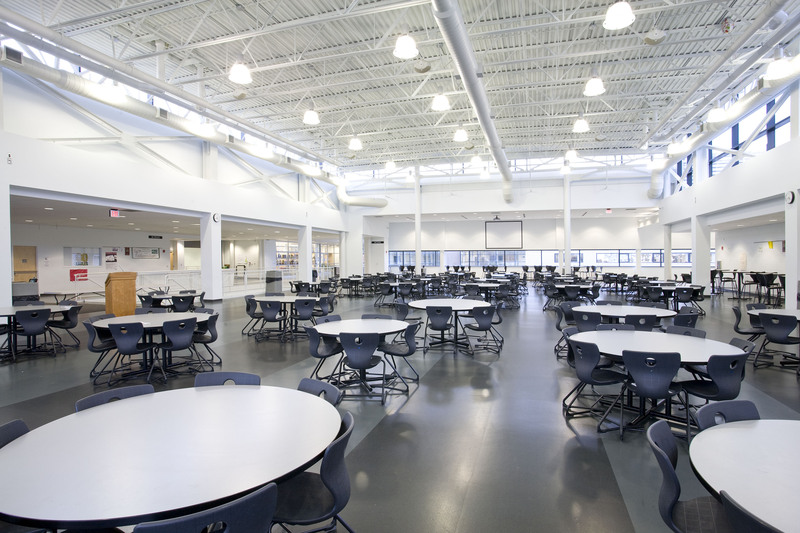 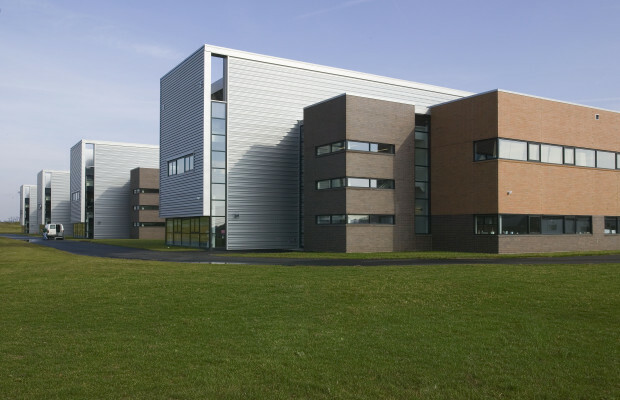 GlenOak High School | BSHM Architects, Inc. 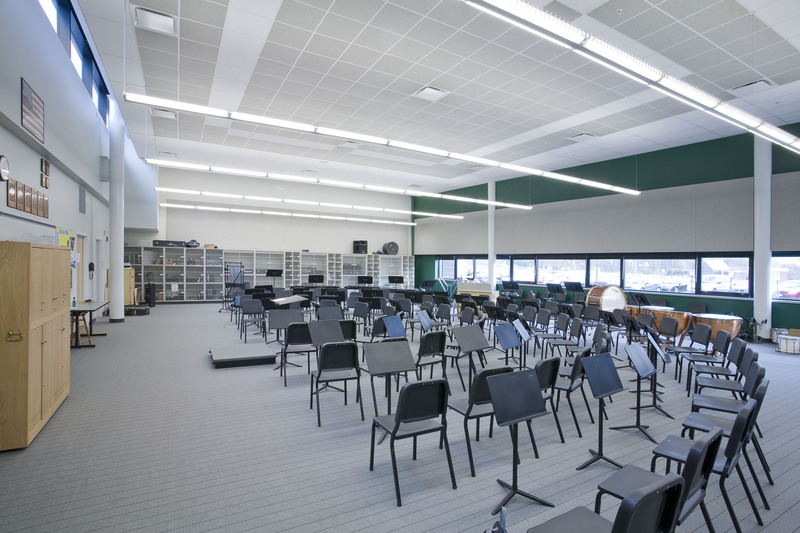 The New GlenOak High School contains 360,000 square feet for 2,200 students in grades 9-12. 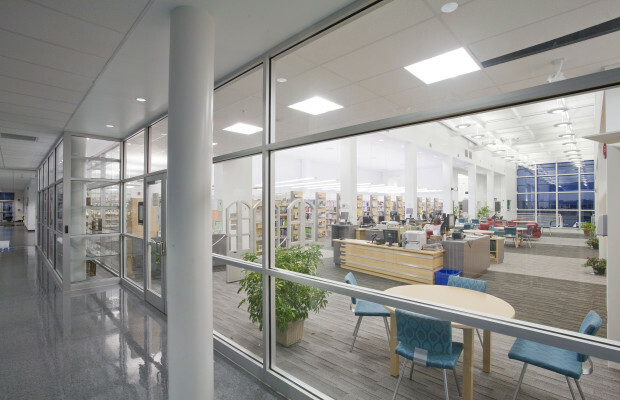 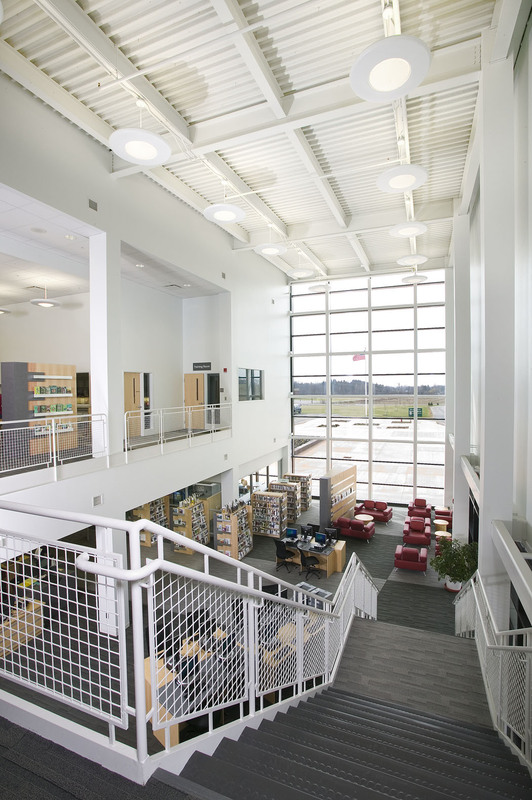 A joint venture with the Stark County Library Board added an additional 12,000 square feet for a Branch Library within the school. 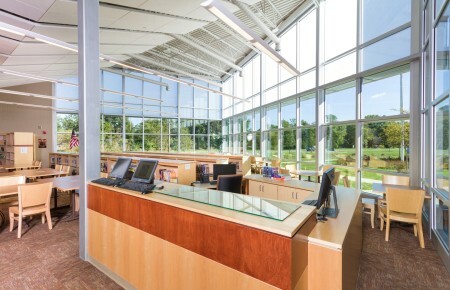 The design features “career clusters” in a two-story design. The “cluster” includes a 9th grade academy, human resources cluster, business and management cluster, industrial engineering clusters, health service cluster and environmental and agricultural clusters. 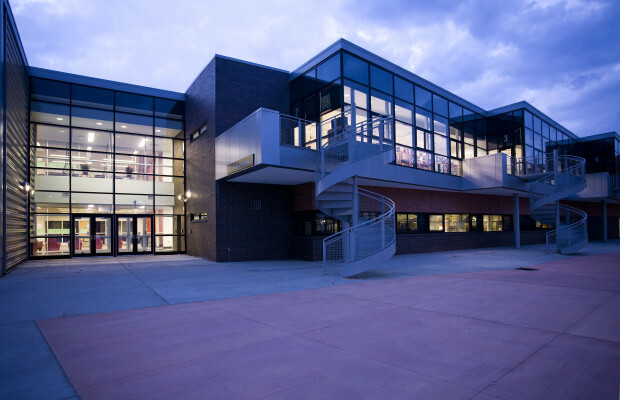 The “clusters” are attached to a core of science labs and career tech labs. 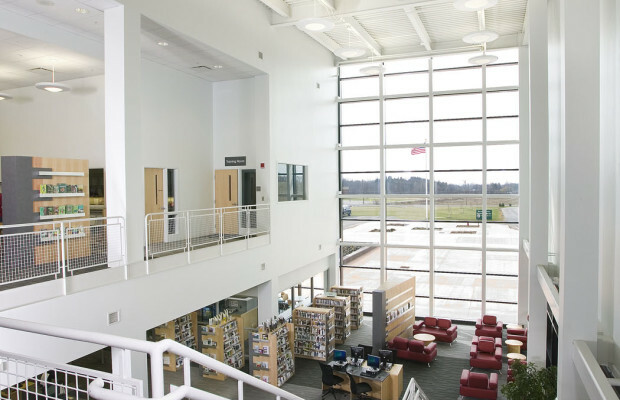 The combination GlenOak Media Center and Stark County Library are in the center of the school, and adjacent to the dining commons. To the south of the commons, a large arts complex is housed, including a 900 seat Performance Arts Center, Black Box Theater and Music. To the north of the commons are the sports venues, including two gyms, Wellness Center, Locker Room and Training Room. 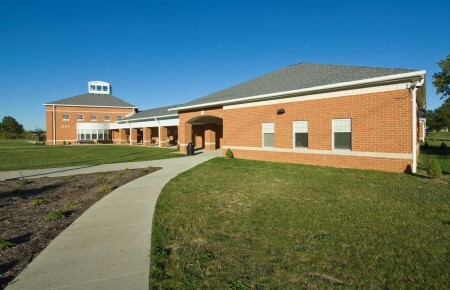 The school, which opened in September 2006, was constructed and furnished for $115 per square foot, including site work. 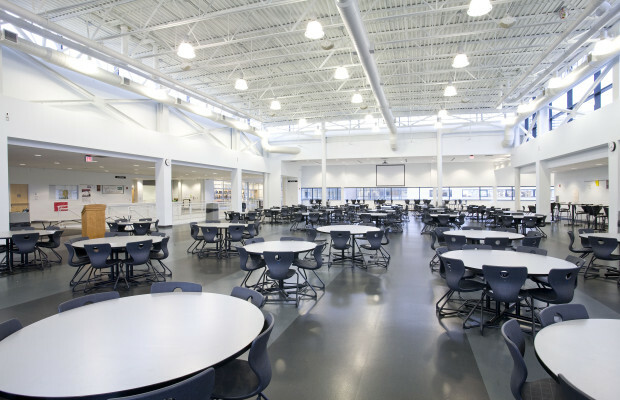 Perkins + Will of Chicago served as Education and Design Consultant. 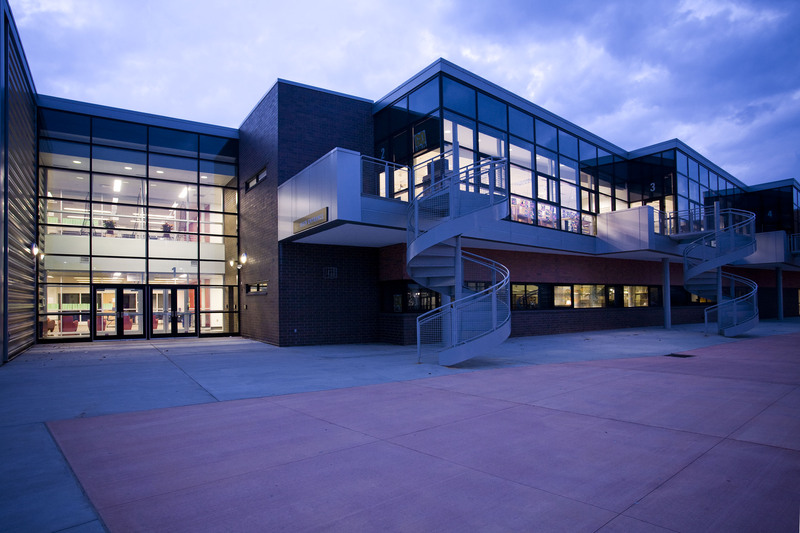 One of only 7 recipients of the 2007 Knowledge-Works Foundation Award "Schools as Centers of Community."